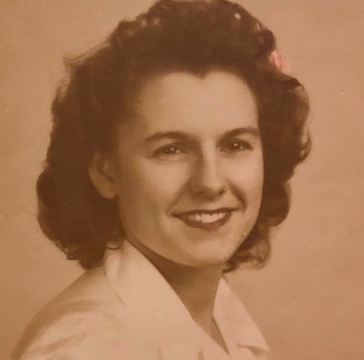 Anna C. Cosenza, 93 of Storrs, CT, died on Jan 13, 2019. She will be remembered for the spritely twinkle in her eye, her positive outlook, her ready smile, her love and devotion to family, friends, and community, her tap dance step, her love of opera, her joy of cooking and eating, her joy in making jewelry with her friends, and a life well lived. Anna had the unique experience of growing up in a neighborhood in New London, CT, where most of her block was inhabited by relatives or others relocated from the her parents village of Morra de Sanctis, Avellino, Italy. She graduated from Chapman Technical High School in New London and went on to the New London School of Business to become a bookkeeper. She married the love of her life, Benjamin, and used her skills to assist him in running business while raising a family. She will be dearly missed. Anna was preceded in death by her loving husband of 63 years, Benjamin and her son in law, Joseph Wettlaufer. She leaves behind children and partners; Anthony and Cynthia Cosenza, John Cosenza and Deb Raita, Trish Wettlaufer, and Laurie Cosenza; grandchildren, Matthew and Andrea Cosenza, Melanie Wettlaufer, Samantha Cosenza, Joseph N. Wettlaufer, and three great grandchildren Benedict, Anastasia, and Veronica Cosenza. A celebration of her life will be held at St. Thomas Aquinas Chapel 46 N. Eagleville Rd. Storrs, on January 19, 2019 at 10:30am. All are welcome. In lieu of flowers donations can be made to the Mansfield Senior Center.